Differential equations are equations that relate functions and their higher order (partial) derivatives. They provide a natural language and set of tools through which we can describe and explore the world around us. For instance, in mathematics and physics differential equations can be used to describe the path that light will travel in exotic geometries. In engineering differential equations can be used to model how a bridge will twist under stress. And in finance, (stochastic) differential equations are used to help price financial derivatives (e.g, options, futures & credit derivatives). 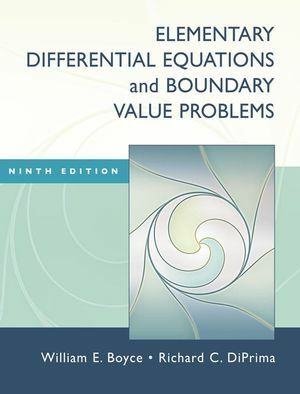 Elementary Differential Equations and Boundary Value Problems (9th Edition) by Boyce & DiPrima, Wiley 2009. Weekly homework will be assigned every Wednesday and due on following Wednesday at the start of class. Each assignment will be divided into three parts and it is required that you hand in a separate write-up for each part. You are encouraged to collaborate with classmate, but your final write up must reflect your understanding and you must acknowledge collaborators. No late homework will be accepted. Please note that the registrar has determined that Nov. 5, 2013 is the last day to withdraw from a course (Fall 2013 Term Calendar).